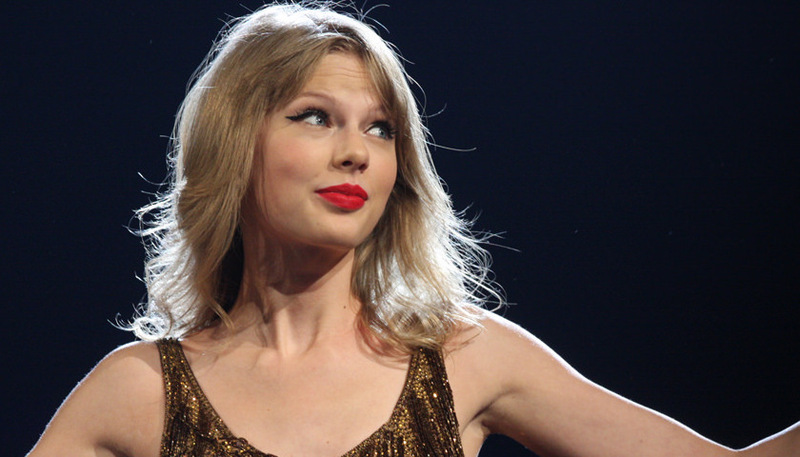 Taylor Swift is making the headlines again but this time, on the political stage. After her statement on Sunday that she is endorsing Democrat Phil Bredesen over Rep. Marsha Blackburn (R-TN-07) in this November’s contest to replace retiring Sen. Bob Corker (R-TN), The Tennessee Star tried to find some information about her financial contributions to federal political candidates. A brief review of Federal Election Commission records indicates that Swift appears to have made just one contribution to a political candidate for federal office in her career. That contribution came in 2014, when she generously gave fifteen dollars to a far left candidate campaigning in a congressional district of New Jersey. Tuesday morning on The Tennessee Star Report, broadcast Monday through Friday from 5 am to 8 am on Talkradio 98.3 FM and 1510 WLAC, Tennessee Star Report: Early Edition (5 am to 6 am hour) co-hosts Michael Patrick Leahy and Doug Kellett talked about the discovery and it’s implications. Kellett: We were talking about the Presidents comments yesterday about Taylor Swift and he was making these comments while he was swearing in the new justice on the US Supreme Court, Judge Kavanaugh. And he said he likes Taylor Swifts music twenty five percent less now. Kellett: After she put in a hit job on Marsha Blackburn. And ok so she’s worth according to Forbes, she’s worth two hundred and eighty million dollars that was of last week. With interest who knows what it is this week right? Has she been involved in politics before Michael? Has she given money to candidates or anything or is this her first sort of fore? Kellett: And it looks good on you too by the way. Leahy: And we found that there is one contribution. One contribution that a person by the name of Taylor Swift that we could find has ever made in the past ten years to a political candidate and it came in 2014, it was a donation to a far-left Democratic congresswoman, Bonnie Watson Coleman. She now, she was running for Congress in 2014, she won. And she now represents a congressional district in New Jersey. Now Taylor Swift who’s worth two hundred and eighty million dollars, according to this record. Guess how much she contributed to Bonnie Watson Coleman in 2014? Kellett: Probably, thousand, well I don’t, well what’s the limit? A couple thousand? Leahy: Yeah twenty-seven hundred is the limit. Per. Kellett: Alright I’ll go with twenty-seven hundred Mike. Leahy: And she donated it through ACT Blue. Well ACT Blue is a big fundraising machine. It’s the Elizabeth Warren connected fundraising machine based in Cambridge, Massachusetts. So that’s where she made the donation. But I have a little bit of more sleuthing for you here. So, in this record of September 29th, 2014 she listed her residence as Hendersonville, Tennessee. Now, let’s put the pieces together. In 2014, according to published reports, she moved and purchased a twenty-million-dollar condo in the Tribeca neighborhood of New York City. Doug and Mike continued the discussion about how Swift then purchased a two-million-dollar condo in Nashville yet listed her residence in Hendersonville, Tennessee. Voting rights came into question in that many people have second and third homes and how it raises speculation that people may be voting twice because they feel justified because they pay taxes twice. Unfortunately, as Swift dips her toe into the political pond, she conjures up some concern as to which state Swift considers her residence. Mike Leahy joked about whether or not Taylor Swift has sent a thank you card to Marsha Blackburn for her taxes. Leahy: Obviously for tax purposes, Tennessee is a much better state. By the way, did she send a thank you note to Marshal Blackburn who was really one of the legislators most responsible for stopping the state income tax here in 2000? Kellett: You know it’s funny you mention that because back in those days when the big debate was underway, and we were having, Steve was doing shows on location and we were having all this you know sort of discussion and debate about it. I remember very well Marsha Blackburn showing up at many of the broadcasts that we had. I mean she was there. Now Taylor Swift, I don’t remember whether she was there or not. Leahy: In 2000 she was a ten-year-old living in Pennsylvania with her parents. Kellett: (Chuckling) There you go. Leahy: Not exactly up to speed on Tennessee values at that time. The Tennessee Star Report team went on to close the segment by talking about “Fibber Phil” Bredesen’s latest tweets regarding Marsha Blackburn and her connection to the swamp (which there is none of) and how his “delayed response” to the Kavanaugh debacle has effected his Senate run. It is assumed that Bredesen’s inability to handle the Kavanaugh confirmation in a way that would work in his favor, (he remained silent till the eleventh hour) has alienated his far left base in Tennessee. He’s now trailing Marsha in the Senate race by 8 points. I was looking for a reason to throw her CDs away anyways. I don’t understand how the rich elites can denounce the very system that made them rich. Wait till I have $280 million then you can denounce it. Her tickets were selling for $10 on Craigslist yesterday. Taylor needs to stay out of politics and concentrate on improving her singing skills.